Fans of the Spyro the Dragon series on the original Playstation are all pretty excited about the upcoming remake. 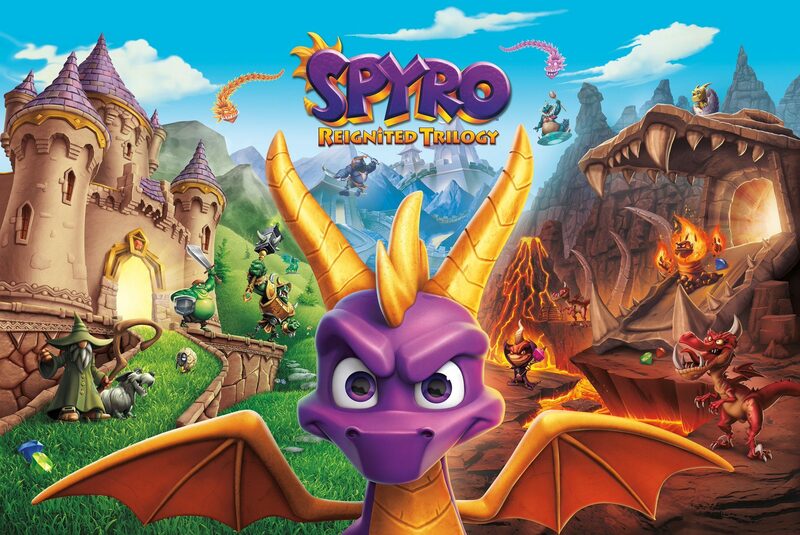 Spryo Reignited Trilogy is set to come out on the 21st of next month and it’s looking as good as ever. But some people noticed a slight issue with the physical edition of the game that may make you want to rethink buying it. If you take a look at the pre-order page there is some fine print that alludes to only the first game actually being on the disc. “Games 2 and 3 require download via internet.” In other words, when you buy the physical version of the game it only includes the first game and you have to download the other two games, Spryo 2: Ripto’s Rage! and Spryo: Year of the Dragon. As with most games today, downloading an update after purchase is quite common. The language on packaging and on the web is to let players know the requirements for Spyro Reignited Trilogy. That clarifies a lot. Thanks. Some redditors have speculated that Toys for Bob could be working on the other two games up until launch so that the game doesn’t get delayed. Most people understood that the release included all three games being done before hand though. What do you think about this? Does it upset you that the physical release doesn’t include all three games on the disc? Does that reduce the value? Or does it really matter since you’re technically still getting all three games?